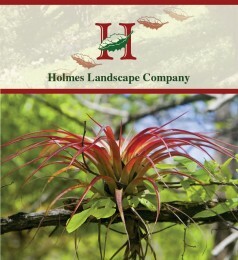 Holmes Landscape Company employs a diverse staff with various horticultural backgrounds that can work with you to design and create a long term plan for your property. Water conservation, updated landscape, upscale appearance and budgets are all considerations in the planning process. Each property is unique and our qualified staff can work with you to enhance your site. Setting goals is the surest way to achieving something worthwhile. Immediately after becoming responsible for the landscape contract, we help the Board of Directors and Landscape Committee develop 3, 6, and 12 month “short term” goals. With that completed we move on to accomplish the goals and visions of the community for the 3, 5, and 10 year “long-term” goals. What is the overall condition of the landscape? Are there trees that are not doing well? Are there areas of lawn that are not doing well? Are there areas of ground cover that are not doing well? After irrigation, do soil probes indicate the soil is still dry? How consistent is the soil throughout the neighborhood? If the area is relatively consistent, then we can treat the whole area similarly. If however, the soil pH ranges from 5 in areas to 9 in other areas, or the soil salt content ranges from acceptable in areas to toxic in other areas, then we are required to create a soil chemistry map and treat each area differently according to its needs. What soil nutrients are available, excessive, or lacking? This information helps to determine our fertilization program for the landscape’s plant material. What is the salt content of the soil? If the soil is high in salts then we are restricted to the type of plant material that will be successful there. Salt content also has a bearing on our irrigatation plans since less frequent, longer interval irrigation will be required to eliminate surface salt buildup. What is the relationship between nutrients and soil elements? Various soil elements, if concentrations are excessive and under certain pH conditions, will tie up and hold other elements so that they are unavailable for plants to absorb. As an example, if plants in a certain area need iron, but the soil structure will not allow the iron to release, applying an iron fertilizer will do the plants no good and will only increase costs. What is the soil type – clay, clay loam, or sandy loam? All three soil types require different irrigation practices. Sandy loam soil will percolate much faster than other soil types and needs to be replenished more frequently than clay or clay loam soils that hold the water in the root zone longer.